Position : Tips - What Does Format Mean? What does format mean? Formatting is an essential and routine part of digital housekeeping for any professional working in the IT sector. It is the primary stage of preparation for any storage device on which data is to be kept, be it a hard disk drive or solid-state drive, floppy disk drive or USB flash drive. Simply put, formatting removes old data for the purposes of security and to free up space and clears the drive so that new data can be stored. How to recover data from a formatted disk using PartitionGuru? When you format a hard disk, you can select a file system format for the disk. As we all know, different operating system supports different types of file system, such as Windows uses NTFS and FAT, while Linux used ext2, ext3 and ext4. File system is the way operating system organizes and stores data, you need to build proper file system to meet your requirements. NTFS is the default file system type in Windows, and hard drives or external hard drives are usually formatted as NTFS by default. Mac and Linux provide read support to NTFS drives only. FAT32 files system is widely used on removable disks like USB flash drive, SD card, flash drive, etc. It can be read and written by Windows, OS X and Linux. The limitation of FAT32 is the single file size it can store, which cannot exceed 4GB. exFAT is similar to FAT32, but it is less commonly used, but it eliminates the limits on Fat32. In general, formatting falls into two types: quick format and full format. What's the difference between the two? Which one should I choose when formatting disk? If you perform a full format on hard drive, files on the disk will be wiped completely, which means you cannot get back lost data via data recovery solutions. Besides, the disk being formatting will be scanned for bad sectors. The formatting process is slow and takes much more time than quick formatting. If the formatting completes successfully, the disk is healthy and bad sector free. A new filesystem is also created during formatting. If you choose to go ahead with a quick format, files on the disk won't be removed permanently. Thus you can perform data recovery on formatted drive using free data recovery software. A quick format simply destroys the journal which works for keeping track of file locations on the disk. A quick format does not scan bad sectors and it formats disk in seconds. Quick format VS full format, which one should I choose? If your disk does not contain bad sectors, you do not want to erase data or cannot afford so much time on formatting, a quick format it recommended. If you are selling a device or giving it away, full format is the better choice, for it protects privacy by preventing data from being recovered. When should I format my disk? It is recommended that every drive be formatted whether it's new or used before data storage. If the drive is your own and formatting is necessary then a backup of any data to be kept is essential as formatting will remove everything on the drive during the process. There are several reasons to format a disk or drive; files on the drive are corrupted beyond repair or retrieval, files are missing from the device and a repair has been ineffective in locating them, the drive has a virus and it has not been possible to remove it, the drive has been infected by spy-ware/mal-ware which is having adverse effects upon the computers level of performance or it is not possible to perform a de-fragmentation of the drive. A de-fragmentation of a drive (known as de-frag) is a process of file organization. Solid state and hard drives have a spinning disc upon which data is stored in sequential blocks. The contents of large data files can become separated across more than one block and if their location on the disc is far enough apart the drive takes increasing amounts of time to process the information. De-fragging is the reordering of files back into sequential order so that data retrieval becomes faster and more streamlined. 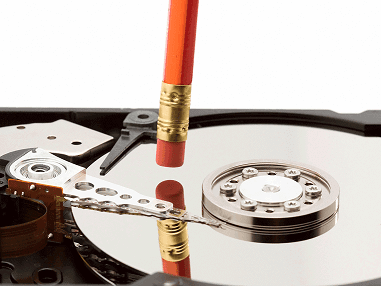 For brand new drives or to reinstall Windows software, a "quick format" can be undertaken. However, this is not advisable for formatting an old drive (for example to sell on to another person) or to fix problems such as virus' and spy-ware/mal-ware. This is because a "quick format" leaves all the original data in place, but makes the drive appear as if it is empty (no additional space is subsequently made on the drive). Step 1 Go to the "Computer" tab in the desktop sidebar and select the drive which requires formatting. Step 2 Right-click the mouse button on the drive and select "Format". Step 3 Under "File System" select the file system you want to use on the drive (NTFS is Windows standard file system, but other file systems can be selected depending upon whether the user requires them to be compatible with Linux, OS X or Mac systems). Step 4 Name the new drive under "Volume Label" so that it can be located once the format has been completed. Step 5 Click "Start" to begin formatting the drive. Windows will notify you when the process is complete and this can take from just a few seconds to several minutes depending on the size of the drive and complexity of data stored. Once complete go back to the "Computer" tab in desktop, select the drive that has just been formatted and you can begin to drag files into it for storage. How to recover data from a formatted disk using PartitionGuru? The loss of important data and the information it contains can be a nerve-wracking and stressful situation, especially for novice users. PartitionGuru software makes it simple and straightforward to recover data lost during the formatting of a disk or drive. Follow these steps to recover data lost during a format. Step 1 Connect the disk on where you want to recover lost data, and make sure it can be recognized by your computer. Step 2 Install and launch PartitionGuru from your PC. If your computer cannot boot, you can create a WinPE bootable disk for PartitionGuru so that you can run PartitionGuru under WinPE environment. Step 3 Select the formatted partition you need to recover data from and click "File Recovery" button from toolbar. Step 4 Select recovery mode on the File Recovery window. To recover lost data from formatted disk, the Complete Recovery should be chosen.Here you can click "Select File Types" button to set specific file types you want to recover. Recovering files by file type supports nearly 200 types of files. Step 5 Scan the disk for lost data. Click "Start" button and PartitionGuru will run a full scanning of select disk / volume for lost disk. Scanning process displays recoverable it just finds out. Step 6 Preview files. When scanning process pauses and stops, you can double-click file to preview original file content, thus you can check if the file is correct or damaged. Step 7 Recover files. To get files recovered from the formatted drive, you should copy and save files found by PartitionGuru to a different partition. 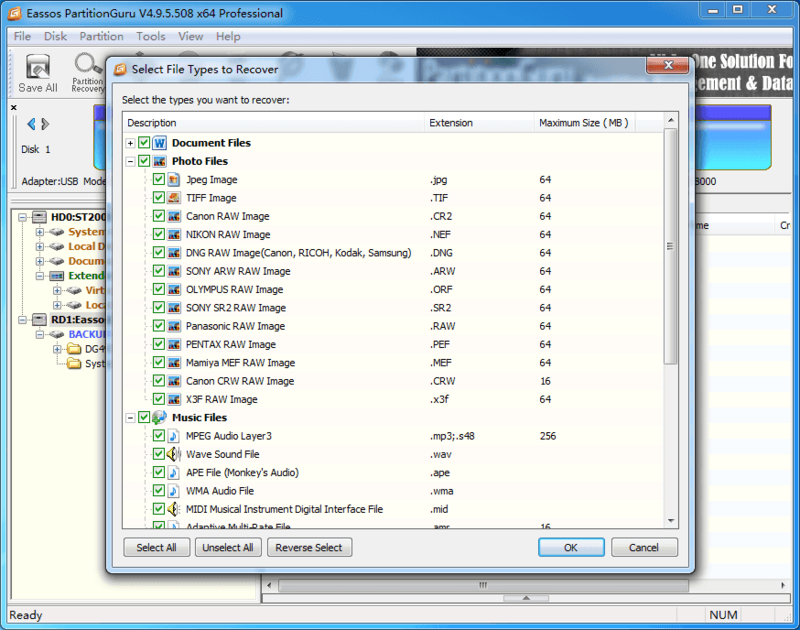 Select files and folders you want to recover and right-click to select "Copy to". Then you can set a location on your own to save recovered data. The process is fast, effective and simple, allowing anyone with even limited knowledge of data recovery to undo formatting mistakes and take back lost data. PartitionGuru can perform the following operations; file recovery and partition recovery, recover deleted and lost files from HDD, virtual disk and any external storage devices, retrieve lost data from reformatted, inaccessible or damaged partitions or hard drive, restore lost partitions due to deletion, hard drive failure, system crash, etc and reconstruct a virtual RAID and recover data from local disks. It also includes a full-featured hexadecimal editor to serve advanced data recovery. What does format mean? It means the need for PartitionGuru, an industry standard software for both home and office use saving both time and money. PartitionGuru Pro is available for commercial use and includes advanced features for editing hex data and backing up data on PCs, laptops and workstations.